I am a beach girl. You already know that. I love a stabilimento. The whole Italian beach going thing is just my style. I love the sun loungers and umbrellas. I love eating lunch in my bikini with my feet in the sand. We spend Saturdays at a simple beach club outside of Rome that I refer to as our summer living room. 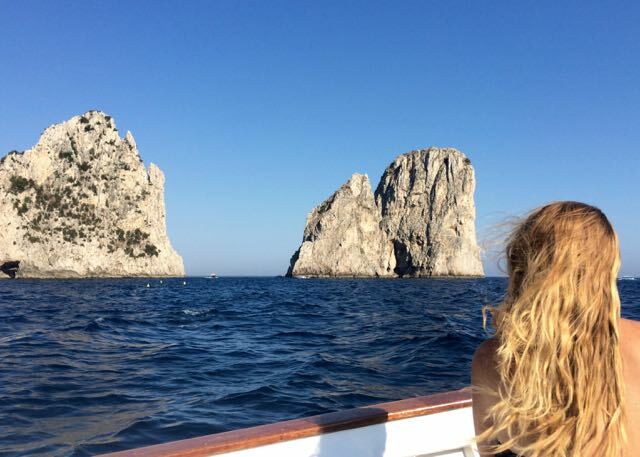 We celebrate our anniversary at ramshackle spots in tiny coves or splash out for fancy clubs on chic islands. This year we tried something different. 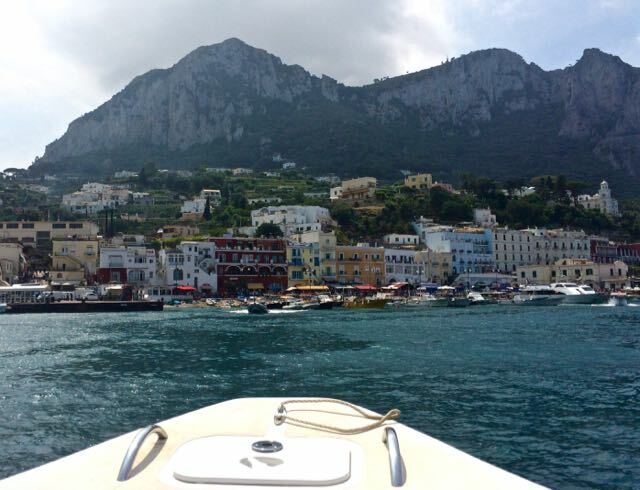 My pal Holly suggested that we rent a boat and spend the day sailing around Capri instead. That was a very good piece of advice. We met Ciro in his office in the Marina Grande, picked up our lunch that we had ordered and was delivered from the Ristorante Michel'Angelo and hopped onto our boat. Noah and I relaxed under the shady cover, Mark cracked open a cold beer and our trusty captain sped out of the busy harbor to find a quiet spot for us to swim and have lunch. 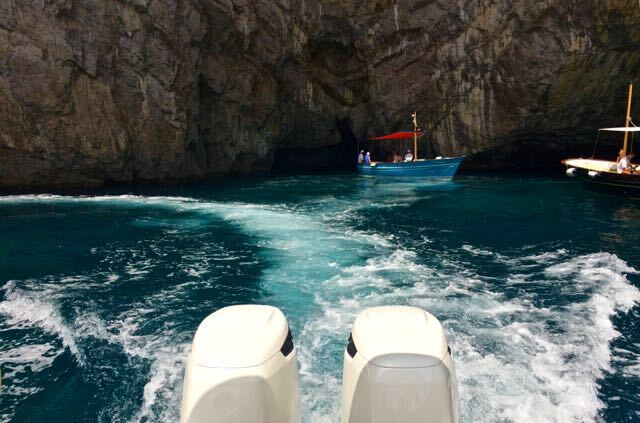 We zipped past the Blue Grotto and the Salto di Tiberio and stopped in a quiet cove with the island's most romantic grotto. We dove off the boat into the deep blue water and then spread out our feast which included some of my Amalfi Coast vacation favorites like Caprese salad and Parmigiana Melanzane and toasted to our 22 years of adventures together. 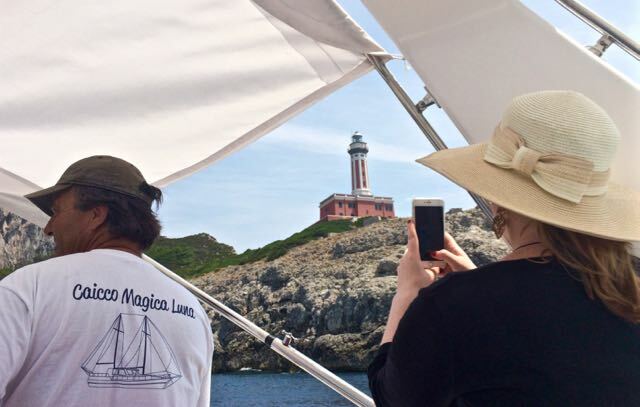 The next stop was a slow sail past the island's lighthouse and came around the corner to the always scenic Faraglioni rock formation. Again we dropped anchor next to the super yachts and swam, napped, read and swam some more. As the sun started to sink behind Monte Solara we cruised through the Faraglioni Mezzo complete with the requisite good luck kiss, explored a few more grottos and after four languorous hours we were delivered back to the pier in the Marina Grande. 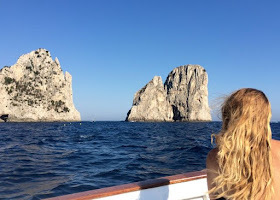 While I still love my stabilimento days, I have to say a day spent with just the three of us, on a boat, on the water off Capri, will be pretty hard to beat. Aurora Time has a variety of cruises and boats that you can choose from; From a short sunset cruise on a traditional "gozzo" to an all day tour of the coast on a luxurious wooden sailboat. You can also rent small a zodiac to captain yourself. 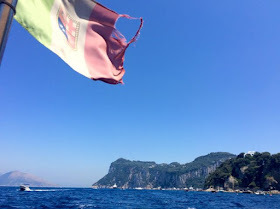 If you are visiting Capri for the just day, save the time you would spend at lunch in a restaurant and have Ristorante Michel'Angelo organize lunch onboard for you. Nice ! 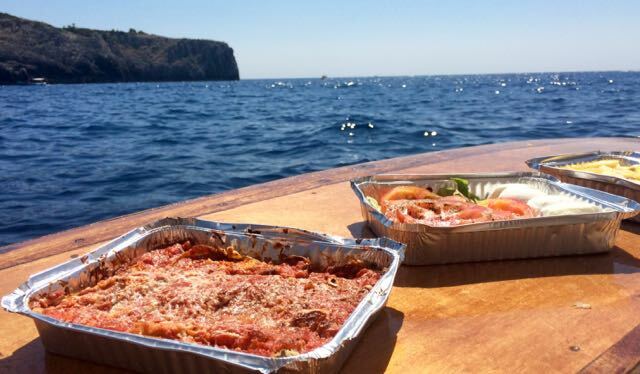 We rented a boat in Positano years ago. 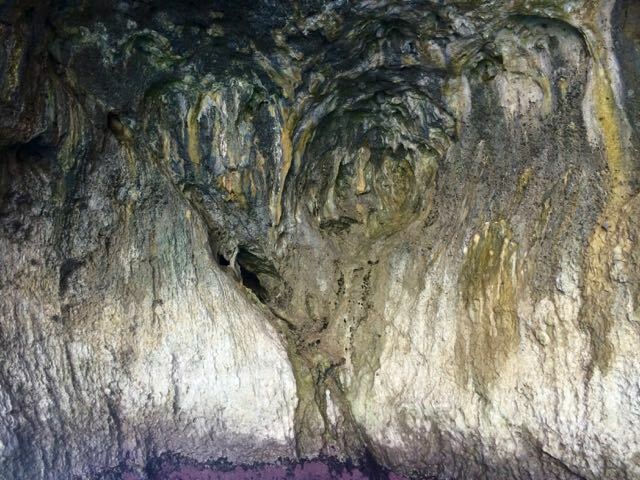 My husband was the captain and we had problem with the anchor that was stuck between rocks in the water. Lucky we were to be able to solve the problem ! By the way, what do you mean by "stabilimento " ? Than you ! That happened to us in Ponza! 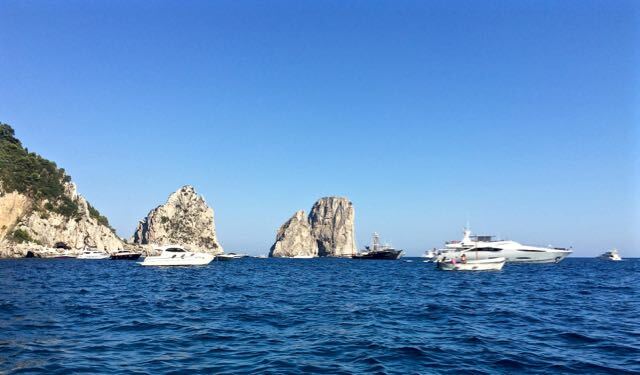 Stabilimenti are private beach clubs that are found all up and down the Italian coast.